Five Budgeting Misconceptions That Will Change Your Association’s Strategy - Professional Association Management Company | Virtual Inc.
Strategic planning and budgeting for associations is an essential part of management, and yet few experts can agree on what the term actually involves. Here’s a look at some of the common misconceptions we hear about strategic planning and association budgets—along with some quick clarifications to improve your objectives for the year. 1. Your budget and your strategic plan are essentially the same thing. In other words, your strategic plan should not be an exhaustive list of all the programs and initiatives you intend to support for the year. Instead, it should be a simpler, directional document that will guide your decision-making process during budget talks, which necessarily need to come afterward. 2. Leave budgeting to your finance team. Nope. The best approach is almost always an inclusive one. Your entire leadership team should be involved in the budget process; an executive subcommittee for budget is sometimes an efficient way to represent everyone. Further, encourage transparency and develop frameworks for all parties—including volunteers and association members— to have some kind of voice in budgetary decisions. After all, these are often the folks who best understand shifting industry trends, revenue opportunities, competition, and constituents’ top concerns. 3. Estimated costs and projected revenue are the key components of any association budget. Yes and no. When planning your association budget, think beyond measurable, short-term profit. The soft ROI attached to member engagement and satisfaction, for example, should play a role in defining priorities and allocating funds. We work with one client whose principal activity is a financial loser on the P&L—but it’s the item that members value most and puts the organization on the map. Sometimes dollars and cents only tell part of the story. Too much focus on what you expect to spend and what you expect it to yield—in hard dollar figures—could obscure your group’s big-picture potential. Worse, it could discourage you from thinking about programs and services in more innovative ways. At the end of the day, your budget shouldn’t be a long winded permission slip to keep doing what you’re already doing. 4. Your association budget should be rewritten every year. Don’t wait that long. One of our recent blog posts explained why your association needs a strategic plan that’s reviewable on a quarterly basis. Similarly, financial reviews can and should be distributed throughout the year. In fact, dynamic budgeting—including contingency budgets, with a set range of expense modifications—was the focus of a Joanne Sammer piece in Associations Now. “If the organization does not make those types of adjustments, it could find itself in financial trouble later in the year when revenue and expenses become further skewed,” warns Sammer. That’s why every budget process we do with our clients also includes a rolling cash flow—it helps test the assumptions that created the budget. 5. Cash reserves can help fill budget gaps when necessary. Not necessarily. As we’ve mentioned in our blog, balancing your cash reserve against your average operating expenses is a key issue in association finance. In many respects, reserve funds are a barometer of your organization’s health, and in turn, the success of its strategic plan. Maintaining a healthy balance is a good way to protect your association during downhill periods. But you should have a detailed reserve policy in place, so unrestricted funds are only tapped for intended uses. Create a line item in your budget to reliably build your operating reserve in the meantime. 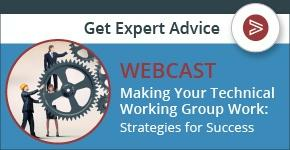 Gearing up for your association’s next strategic planning session? Visit our website for more advice on organizational strategy and budget development.